ESS instrument layout, August 2018. Click to enlarge. The instruments selected for construction at the European Spallation Source are versatile, and most serve several different scientific communities. Developed and built by teams across Europe, they are each designed to be world-leading from day one. The 15 instrument concepts were selected through an inclusive process, involving applications from the community and peer-review by scientific and technical committees. The final recommendation was made by the ESS Scientific Advisory Committee and approved by ESS Council. Expansion of the suite up to 22 instruments is anticipated, and the facility is designed to accommodate even more in the future. Installation of the first instruments will begin in 2019, followed by hot commissioning in 2022, and the user program for the earliest instruments is set to open in 2023. For each class of instruments, there is a Scientific and Technical Advisory Panel (STAP). The STAPs consist of experts from Europe and around the world, contributing their knowledge and experience to identify scientific possibilities and technical feasibility for ESS instrument concepts. The STAPs guide instrument concept development, and they also review the instrument proposals submitted to ESS. The ESS Instrument Collaboration Board (ICB) consists of ESS In-Kind Partner representatives from the instrument projects, and is chaired by ESS Director for Science, Andreas Schreyer. A record number of participants at the 12th meeting for In-Kind Contributions for Neutron Science at ESS demonstrated the expanding scale and complexity of the instrument projects. The European Spallation Source ERIC Council met in Bilbao. A number of key forward-looking decisions were settled that set the stage for what promises to be the busiest year of the project to date. 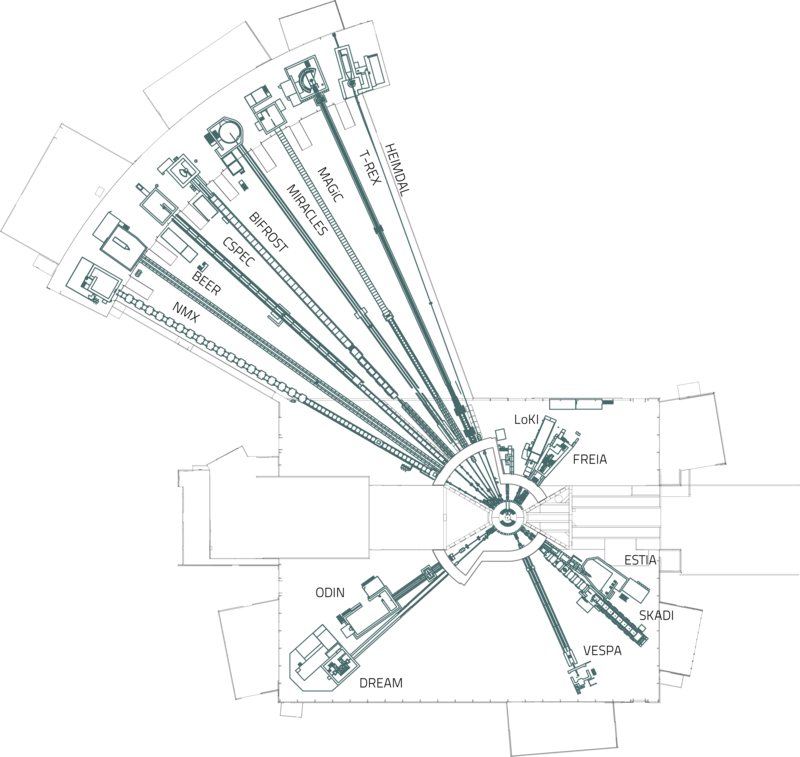 The 15 instruments currently under construction at ESS represent a subset of the full 22- instrument suite needed for the facility to reach its full scope, as defined in the ESS statues. In order to guide the selection of the remaining 7 instruments ESS has drafted a gap analysis. The UK’s Science & Technology Facilities Council signed an MoU with the European Spallation Source this month that establishes it as lead partner in building the ESS instruments FREIA and LoKI.